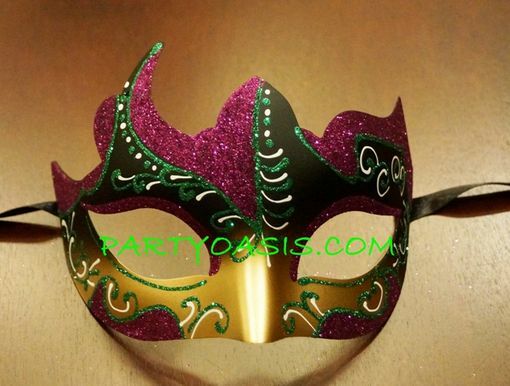 Festive Mardi Gras Mask is hand-painted and has a deep gold base, with purple glitter trim around the eyes, forehead, and cheeks. Green glitter swirls, and white painted accents add to the beauty. Dimensions are 6� W X 4.5� H.